This post is a little delayed, but I want to document #2's bump like I did with Avery. I decided I will take a picture every other week, starting at 12 weeks, so here we go! 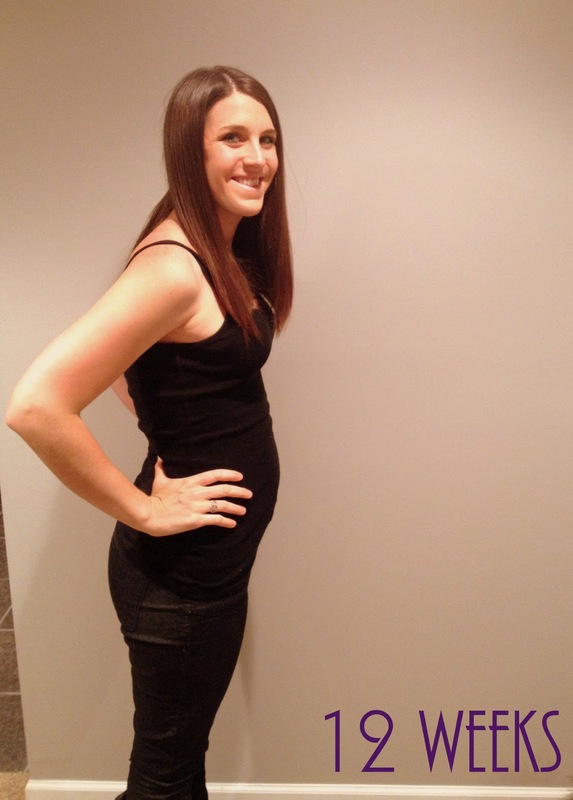 I plan to post a side-by-side with my Avery bump to see the differences - sounds fun right? So why is there no side-by-side this week?? It's because I didn't HAVE a bump with Avery at 12 weeks! In fact, I didn't even take my 1st bump picture with Avery until 17 weeks, which is what I look like now. So the old tale that you show earlier with your 2nd kid, at least in my case - is TRUE!